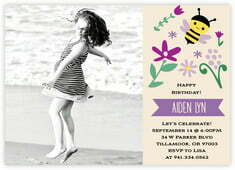 Bumble Bee style is filled with delightfully buzzy, bright dancing flowers and a bee or two humming around them. There is even a place to add a photo on some shapes. 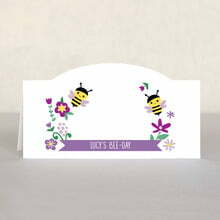 This is a wonderful design for a fun outdoor or summer party for your little one or for anyone who loves bees and sunshine. 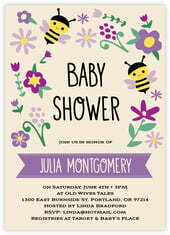 Enjoy bright summery outdoors and all the flowers that go with it, with Bumble Bee style. 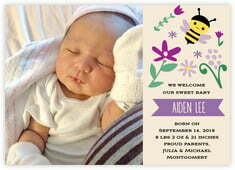 Customize your Bumble Bee cards today!